The sound of my feet. Back in my headphone wearing days, Black Uhuru or Johnny Clegg. International travel, fishing, listening to live bands at small clubs. 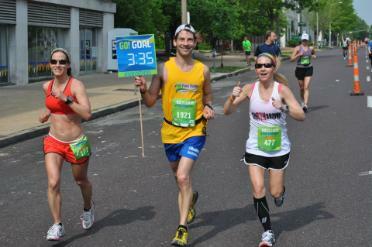 I’m the Marathon Training Coordinator for the St. Louis Track Club Marathon Training Program. We get up to 70 runners for our weekend runs. Stay healthy so that I can keep running, so that I can stay healthy. Apart from the physical challenge and the friends I’ve made running, I run because I’m not very good at just sitting around. 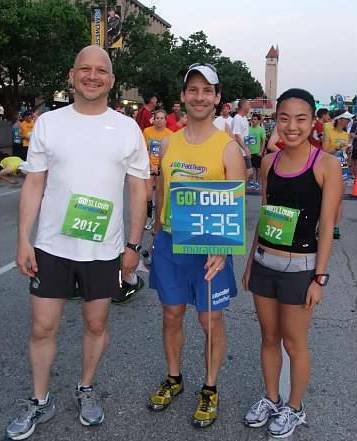 I also run because I cannot think of any time I’ve finished a casual run or a race and regretted having laced up that day. 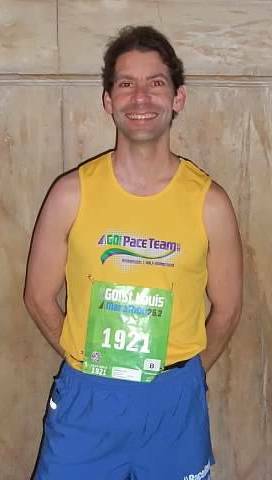 Probably not my time in the medical tent at my first St. Louis Marathon, largely the result of my being clueless about marathons and registering for the race on a whim, without having logged more than a 6-miler. Perhaps the first time I broke 3-hour marathon mark. 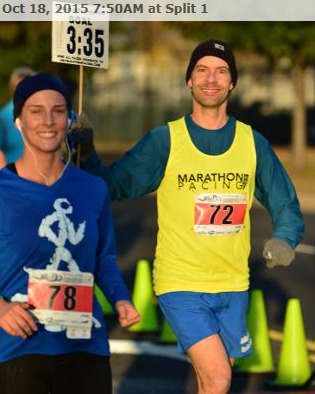 It’s so much more fun than running a marathon solo. 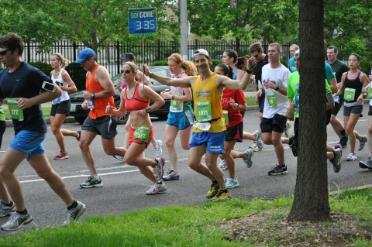 I get a lot of satisfaction from helping others run a smart marathon and seeing just what they are capable of doing. Earlier in 2009, I had a good streak. I led pace groups for 4 consecutive weeks and capped it off with a perfect 3:40:00 chip time in Pittsburgh. If you’ve trained properly and set a realistic goal, I’ll help you get there. References available upon request. Promise yourself ahead of time that you’ll stick with our game plan, then stick with it. The most common mistake my runners make is pulling ahead of the group, only to get humbled at mile 23 as they have bonked and our group cheerfully passes them. Not running related, but I used to be a Peace Corps Volunteer on a tropical island, where I lived in a leaky palm frond shack without running water or electricity.